Who doesn’t love glowing, luminescent skin? I know that I do. 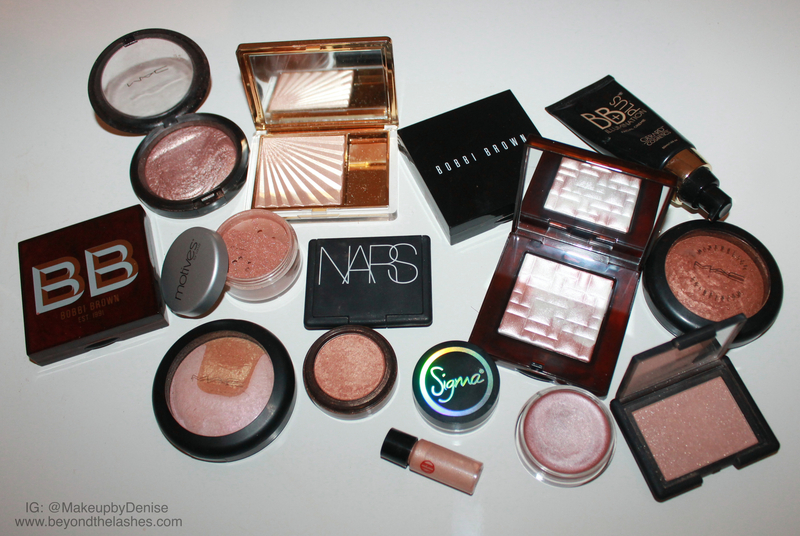 I originally planned on selecting my Top 5 Highlighters, but let’s be serious. There is no way that I could have narrowed down this list to just 5. As a freelance makeup artist that comes across all different skin tones, it is essential to have various highlighters that compliment all ranges of beauty. I also like to make sure I have different textures and formulas to alter the finish of look I am going for. There are three different types of Highlighters: Powder, Cream and Liquid.